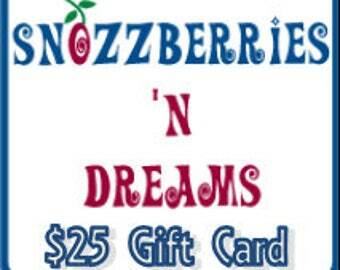 Announcement Welcome to Snozzberries 'N Dreams for boutique creations for your family and home! Well it's taken me a long time to get this up and running. I will post new items slowly over the next few weeks. Welcome to Snozzberries 'N Dreams for boutique creations for your family and home! Well it's taken me a long time to get this up and running. I will post new items slowly over the next few weeks.